Wallander’s win in the last TAB Highway Handicap of the racing season took Matt Dunn' count to 17 Highway wins overall, the most of any trainer. In second is Danny Williams with 15.5. “It’s a fantastic way to end the season,” said Keira Dunn. “Off what Wallander has shown at home, which is raw ability, and ridden aggressively like that, he is a really nice horse. Meanwhile, stable star Care To Think is back in work and it’s all guns blazing towards a first up tilt in The Kosciusko. Hugh Bowman is already booked so the only thing missing now is a slot but you wouldn’t think that’d be a problem for the classy galloper. “He is back and well. Everything is right with him,” said Dunn, before nominating Lifesaver, Snitz and Mediterranean as other possible contenders for the $1.3m feature. Highway winners 2017-18, 45 races incl Anniversary & Consolation. J Bowen, S Jones, S Osland, T Robinson, E&L Longmire, J Graham, M Griffith, K Goldman, M O’Gorman, D Blundell, M Dale all 1. On the topic of The Kosciusko, Mudgee-based trainer Cameron Crockett unveiled a candidate of his own with Sharpe Hussler mowing down Condor Heroes. Punters Intel reveals the rising seven-year-old, who was $51 into $16 in late betting, ran his last 600m in a slashing 33.18s. “He has got an unbelievable turn of foot and it was fantastic to see it in the city,” Crockett said. At the opposite end of the race, Jay Ford said best forget comeback sprinter Way We Go ever went around. The rising seven-year-old, who had been off the scene for three years, finished long last. “He got very stirred up pre-race, and raced fiercely in the run. He felt fine. He got worse and worse the longer I was on him. I don’t think you can judge him off that. As long as he is sound going forward, we can assess him off his next run,” said Ford. Star filly Alizee picked up the Australian Turf Club award for the ‘Most Improved Horse’ at ATC tracks for the 2017/18 racing season. The daughter of Sepoy broke her maiden on August 2 at Canterbury and fast forward 12 months she has two Group Ones and two Group Twos to her name. Unsurprising, Godolphin also collected the trophy for ‘Most Winning Owner’ at ATC tracks. Paret The Next Boban For Waller? Paret’s win could prove the victory that sparks the rising four-year-old into fulfilling his potential. Like Boban, gelding has switched him on. Like Boban, he possess a devastating turn of foot. Like Boban, the Epsom Handicap could be his race. “He has come back so well and the good tracks allows these good second-tier horses to come back and show what they are capable of doing,” said Chris Waller. Hugh Bowman, who courageously dove through a narrow opening to win the race, has always held Paret in high regard relaying that he has given him an amazing feel in trackwork and trials. “He is a horse that loves being on the bridle and that has been his downfall so far but it was good to see win. 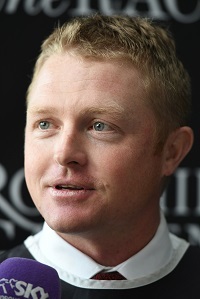 He is a horse that could go on to much loftier heights,” said Bowman. They were the words of Damien Oliver immediately after Everest hopeful Vega Magic made a mess of his rivals in the G3 Bletchingly Stakes at Caulfield. Despite racing keenly in front with the blinkers going on, Vega Magic raced away to win by three lengths. “He should have won (The Everest) last year and his form is impeccable on top of the ground. He just builds momentum and can absorb pressure so I think if you had a slot there, you’d be foolish to look elsewhere,” Oliver told Racing.com. David Hayes had no hesitation in declaring that Vega Magic, who will next tackle the Memsie Stakes, is going as well he was last year when a luckless second to Redzel. “He is a blockbuster sprinter on his day and hopefully that was impressive enough to gain a slot. He made some good horse look ordinary. He played with them,” said Hayes. Ten minutes later, Nature Strip took out the Lightning Stakes at Morphettville in similarly emphatic fashion and will continue to plot a course towards The Everest. Vega Magic and Nature Strip both moved from $26 into $11 with TAB for The Everest. 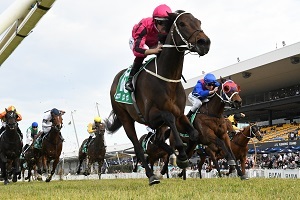 Check out all the results and replays for Rosehill Gardens on Saturday.